Have A Steak On Them! ...or have some chicken or ground beef! 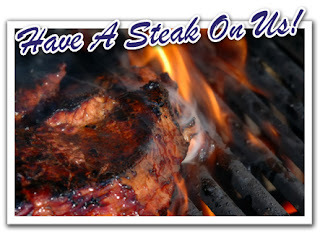 They know not everybody loves steaks so they want you to try their delicious meats before you buy. All you have to do is submit your contact information and one of their representatives will contact you within 48 hours to get your choices from you! Must be in the geographic area serviced by Chambers Food and of legal age.